Note from Sharon: I’m pleased to share with you the first guest post at SH.com. Terez Williamson is a friend and a relationship expert. Creating and maintaining balance between work and relationships has always been a challenge but in today’s digital age, it is becoming more of one. I asked Terez if he could offer some suggestions. I hope his tips will provide you with a path to follow – or at least a starting point. Have you ever been out, say to dinner, and observed couples together? How often have you noticed them gazing intently into…their smartphones? Have you ever been one of those couples? It’s probably safe to say we all have fallen victim to the seduction of having almost constant, anywhere internet connectivity at the touch of our fingers. With smartphones and laptops, we can be even more productive than ever before. We can conduct business as well as many of our personal affairs from almost anywhere. Unfortunately, there is a downside to all of this increased online activity. Far too often our personal relationships suffer as a result of our spending more and more time online. A digital diet consists of observing certain times daily where you and your partner agree to shut off all high-tech distractions specifically for the purpose of connecting. For example, decide no smartphone or laptop use during dinner. Instead spend that time in meaningful conversation. Establishing a digital diet of only 20 to 30 minutes a day can help strengthen the intimacy in your relationship. These excellent, insightful blogs prove just how enriching living with less can be. Oh drama! We adults tend to take life, and ourselves, far too seriously. So, start walking on the lighter side by injecting more fun into your life! Instigate an impromptu pillow fight with your spouse. Dance with no music. Grab each other’s hands and run through the sprinklers. Watch a favorite comedy together. Humor and laughter are great ways to relieve stress and helps us keep things in proper perspective. When you are at work, focus on work. But when you are on your personal time, be present. Yes, there will be exceptions, especially if you run your own business. Still, maintaining clear boundaries between your personal and work life is vital to providing more of the balance you want. 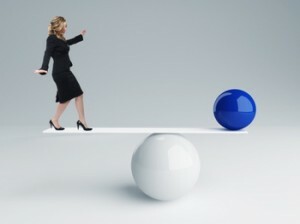 Finally, remember having the desire for more balance in your life is the most important step in achieving it. Use these tips to create a set of proactive strategies to fit your own unique situation. Also, please keep in mind, it’s not about having it all, but enjoying and appreciating what you do have that matters most. Terez Williamson is a relationship blogger and author of the book Minimalism And Relationships: Consume Less, Love More. Terez believes being minimalist is key to living a more enriched life – which includes a healthy, loving relationship. 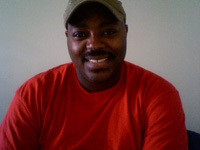 You can find more of his musings on his blog, http://www.RegainYourRelationship.com.